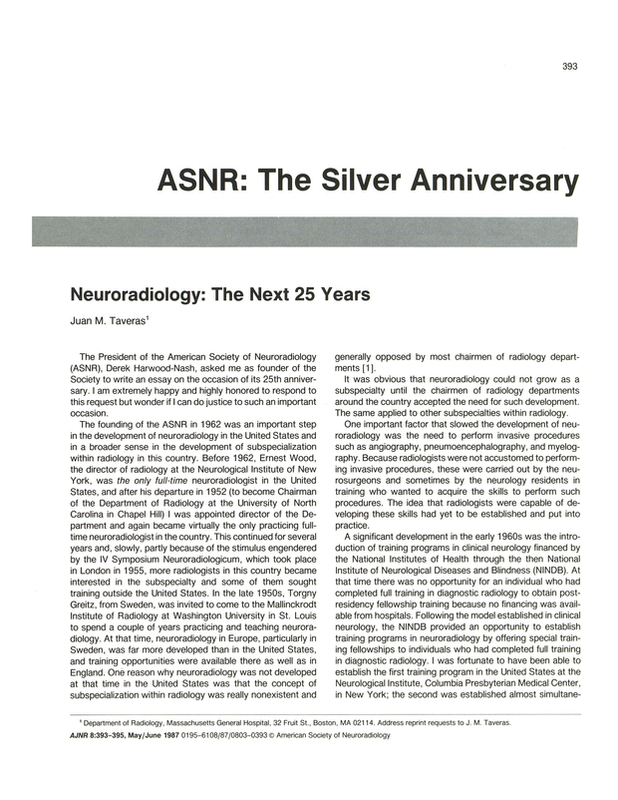 ASNR: the silver anniversary. Neuroradiology: the next 25 years. You are going to email the following ASNR: the silver anniversary. Neuroradiology: the next 25 years.